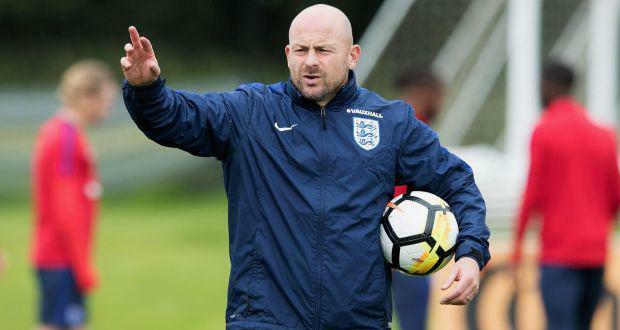 Former Ireland international Lee Carsley has rubbished claims that he was stopping English-born players from playing for Ireland in his role with the Football Association. The 44-year-old has earned a very big reputation across the Irish Sea for fostering young talent having previously worked at the Manchester City academy and in his current position a assistant manager to the England Under-21s under former Watford manager Aidy Boothroyd. Carsley told Game On on 2FM last night that he has never been approached by the FAI to take up a position in Irish football. "I wasn't approached. I've never spoken to anyone off the FAI. I didn't have one phone call off anyone with regards to any jobs. It's not something I've chased after. It's always nice to approached but it's not something that I'd push," he said. "Obviously, I played for Ireland. At some point, I would like to be involved in the coaching. But I really love what I'm doing at the minute and I always have done. "You'd like to think it's down to the standard of coaching in the Irish league. And all the coaching courses that the FAI put on which means there's a pathway for coaches in the country, which is fair enough. I've no qualms with that. If it's working and they're producing players, then I'm all for that." He also dismissed claims he was working to dissuade English-born players from declaring for Ireland when the subject of Declan Rice's allegiance came up. "I read something once on one of the websites that I was employed by the English FA to stop Irish players playing for Ireland. It was a disgusting thing to say, to be honest. It's embarrassing. As if I'd do that," he insisted. "My thoughts are - let the players decide. You should never force anyone to do anything. You want the players who'll run towards you rather than run away from you."